Donation: $20, $35. For VIP seats please contact Gokuldham Haveli. Saturday, April 13, 2019 Garba And Dandia Night Garba and Dandia Night @ Gokuldham. 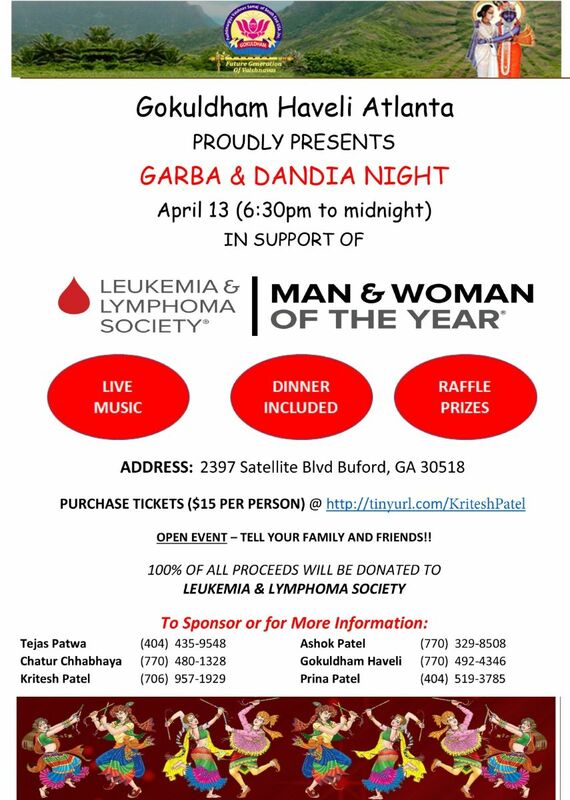 In Support of Leukemia And Lymphoma Society.